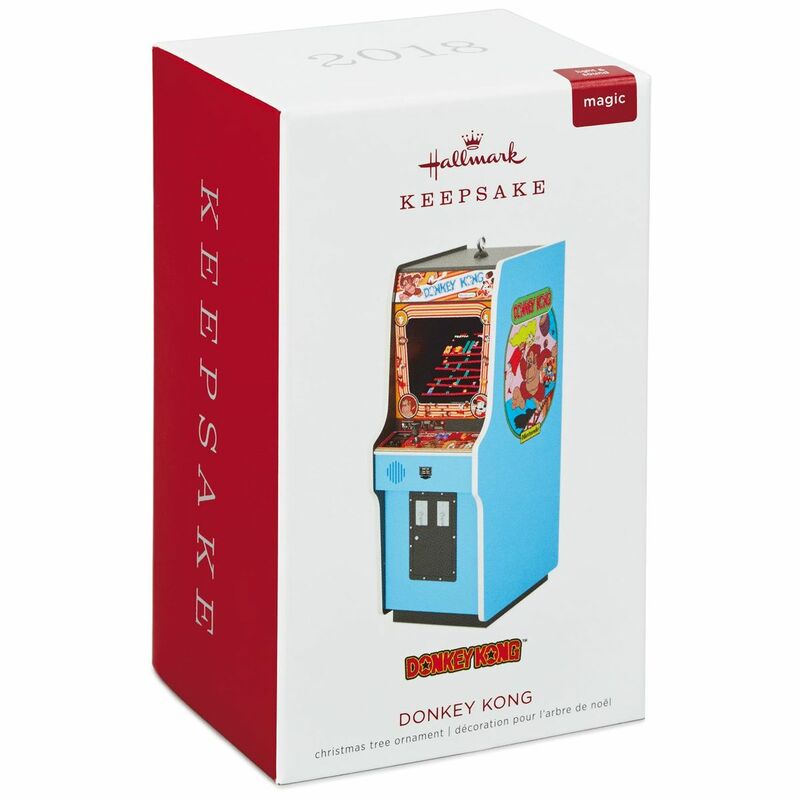 In anticipation for Hallmark’s Keepsake ornaments for 2018, individual pages for some of the products have been added to the company’s site. Sure, Christmas may be seven months away, but it’s important to keep in mind that Hallmark splits its collection between two dates. 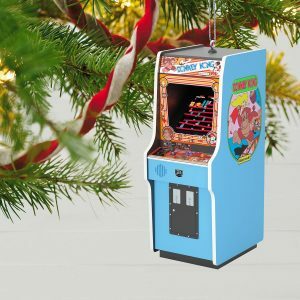 The first one — its Christmas in July debut and sale — kicks off on July 14th, giving us a couple of months to figure out what to buy. 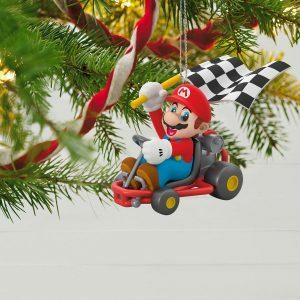 Regardless of their release dates, each of the new Nintendo themed ornaments have their own listings online. 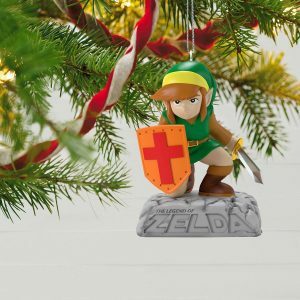 While they’re not available to purchase yet, we now have better images and video footage of each ornament in action! 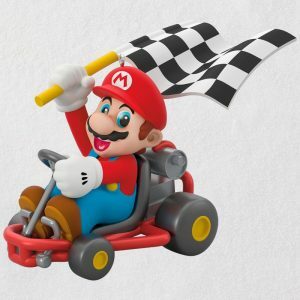 First we have Mario. 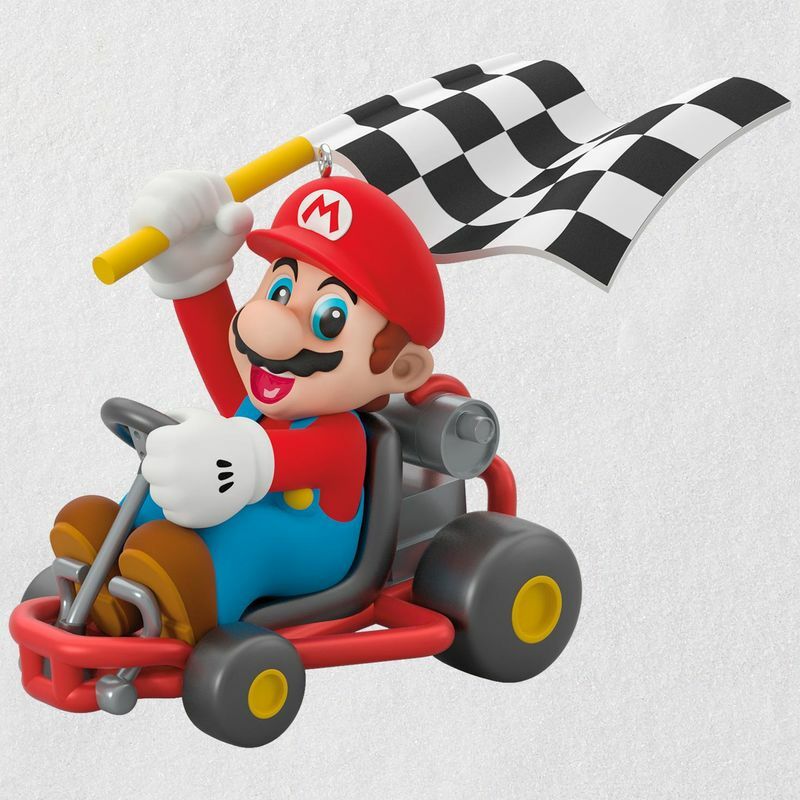 This time you’ll find the plumber racing his way to the finish line in his trusty go-kart. 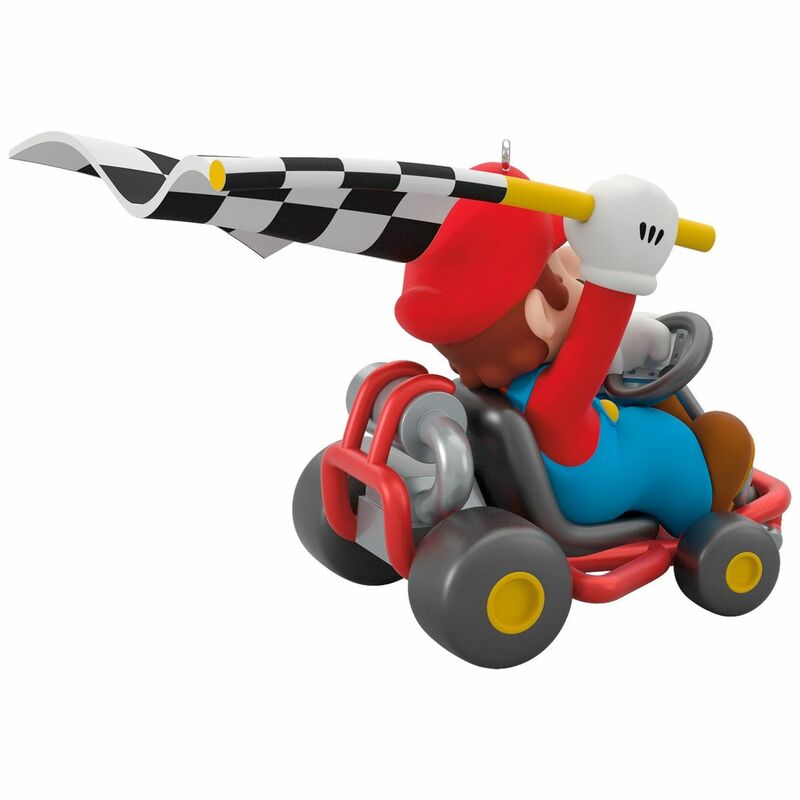 There are no extra bells or whistles here, but the checkered flag adds the illusion of movement. 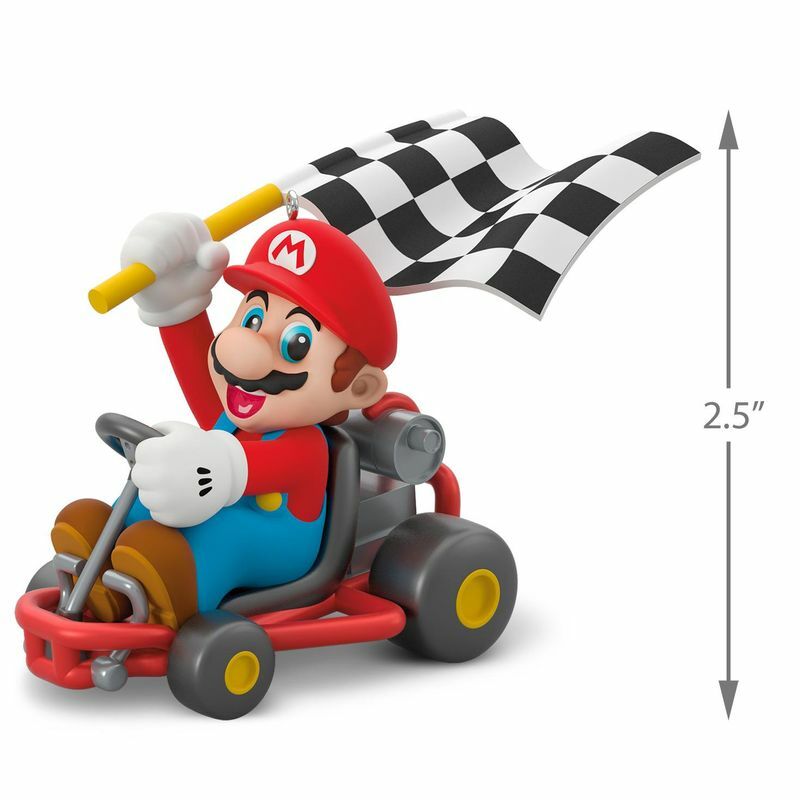 Out on July 14th, Mario is priced at $17.99 and is 2.5 inches tall. 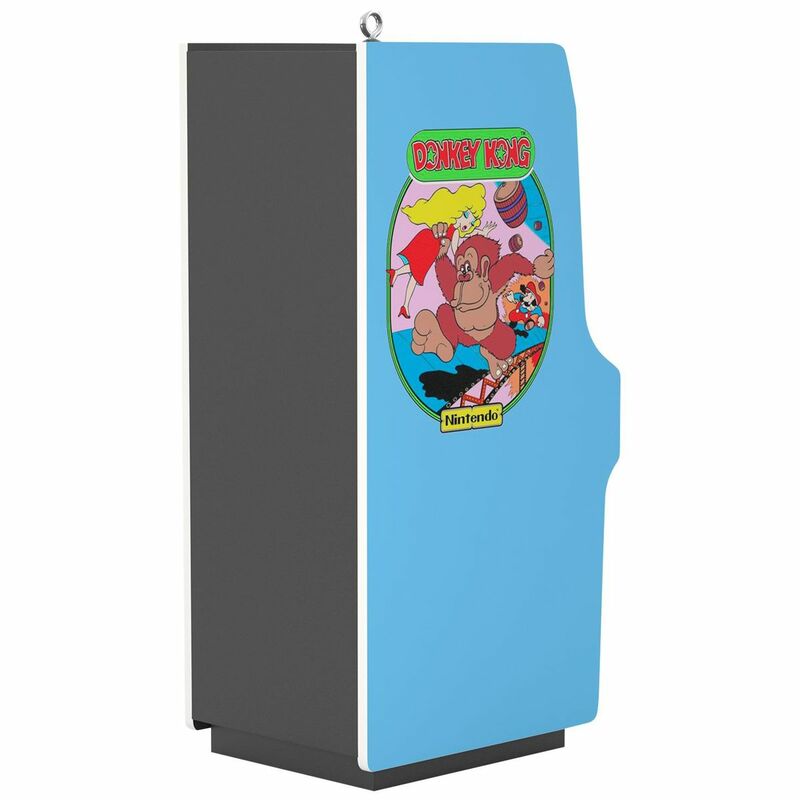 Next up is the Donkey Kong arcade cabinet. Also debuting on July 14th, Hallmark is throwing some extra magic into this one. 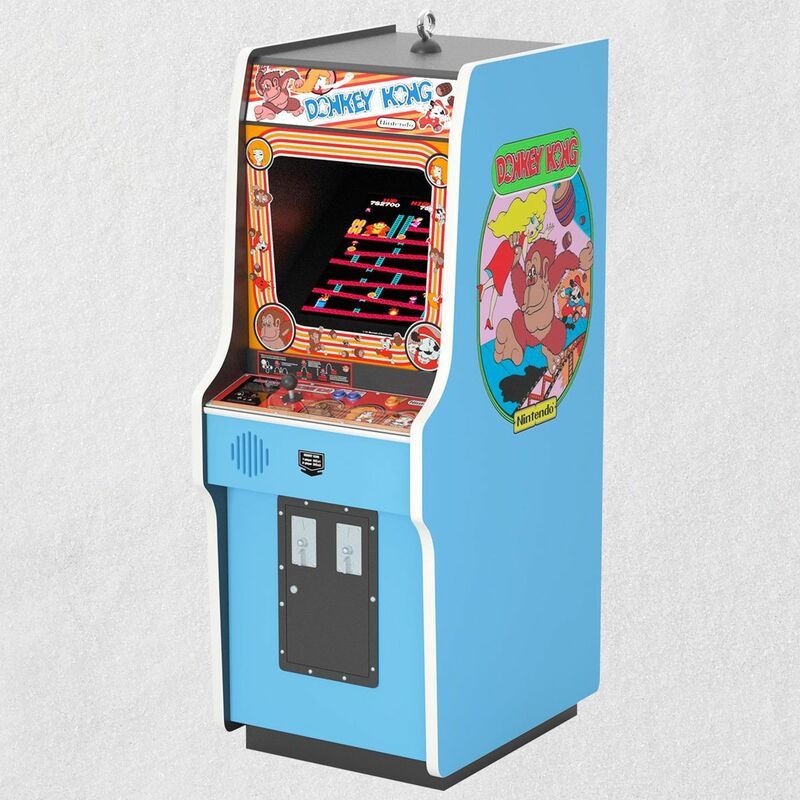 With the press of a button, the cabinet’s screen lights up and a medley of music from the arcade classic plays. 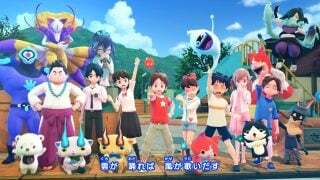 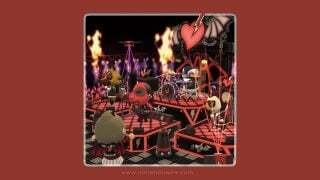 Even better, the jingle included here ends with the “GAME OVER” music notes. At $19.99, the 4.4 inch high ornament comes with extra batteries, just in case you can’t help hitting the button to hear the jingle. 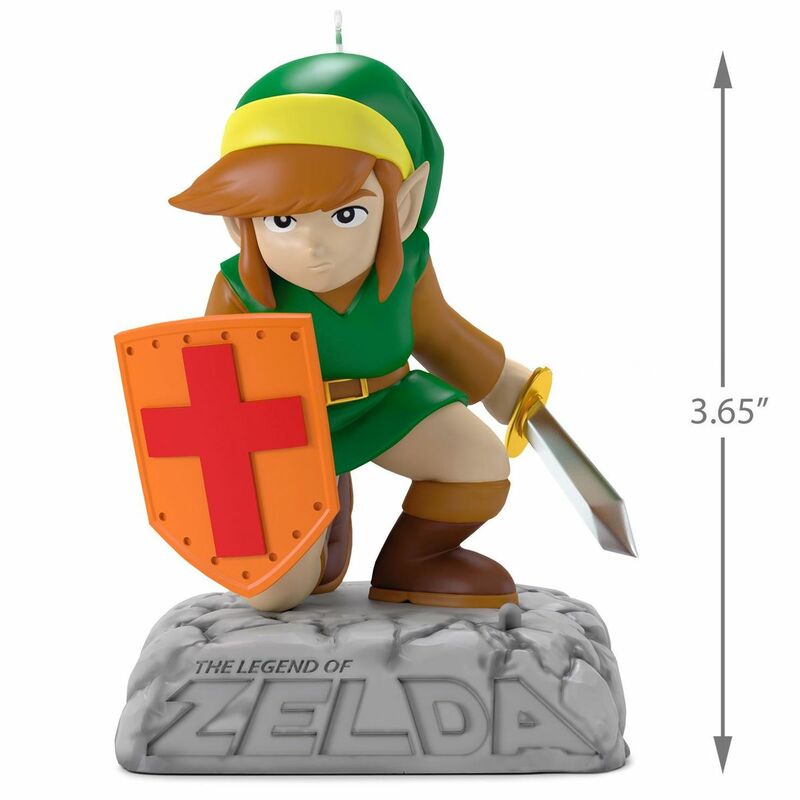 Unlike the first two ornaments, Link won’t be making his arrival until October 6th. 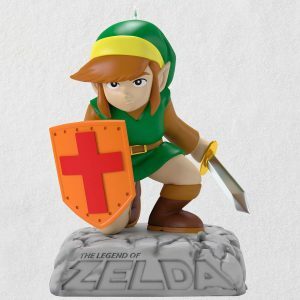 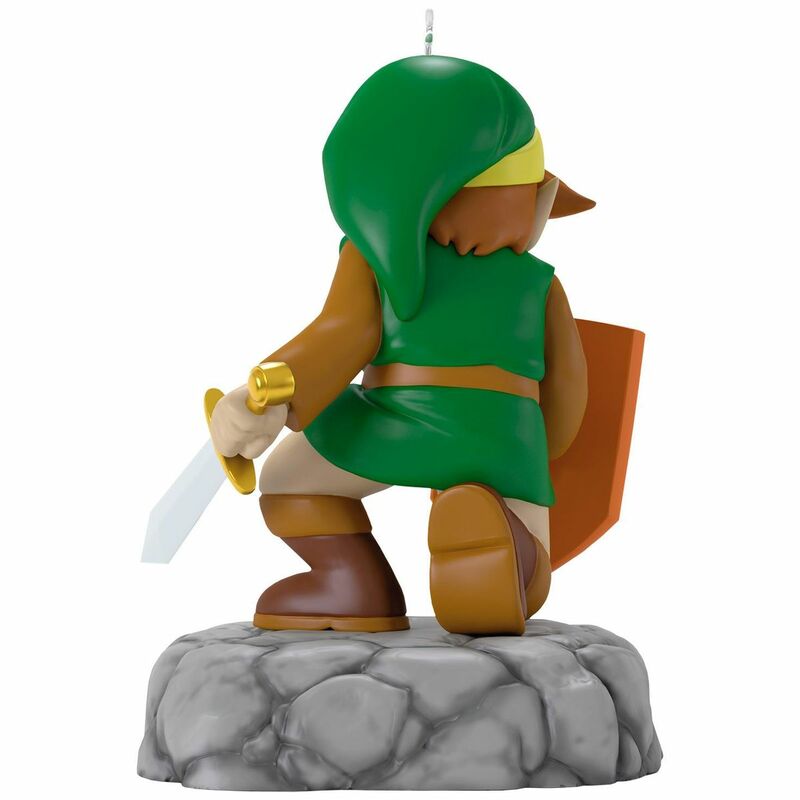 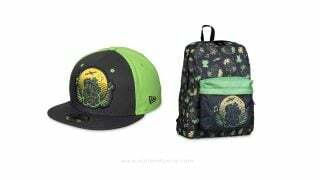 Using the character design from the earlier Legend of Zelda games, Hallmark is also giving fans a taste of the past through music by incorporating the series’ theme song that plays with a simple press of a button. Available for $17.99, extra batteries are also packaged with the 3.65 inch ornament. 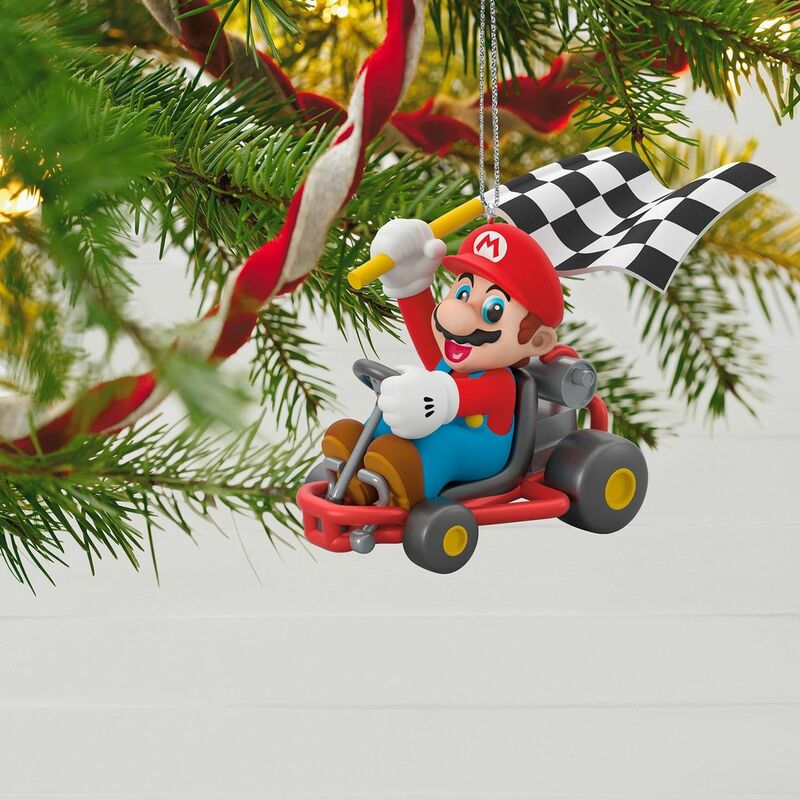 While yes, you can argue that the ornaments are a bit pricey, they certainly deliver when it comes to sights and sounds. 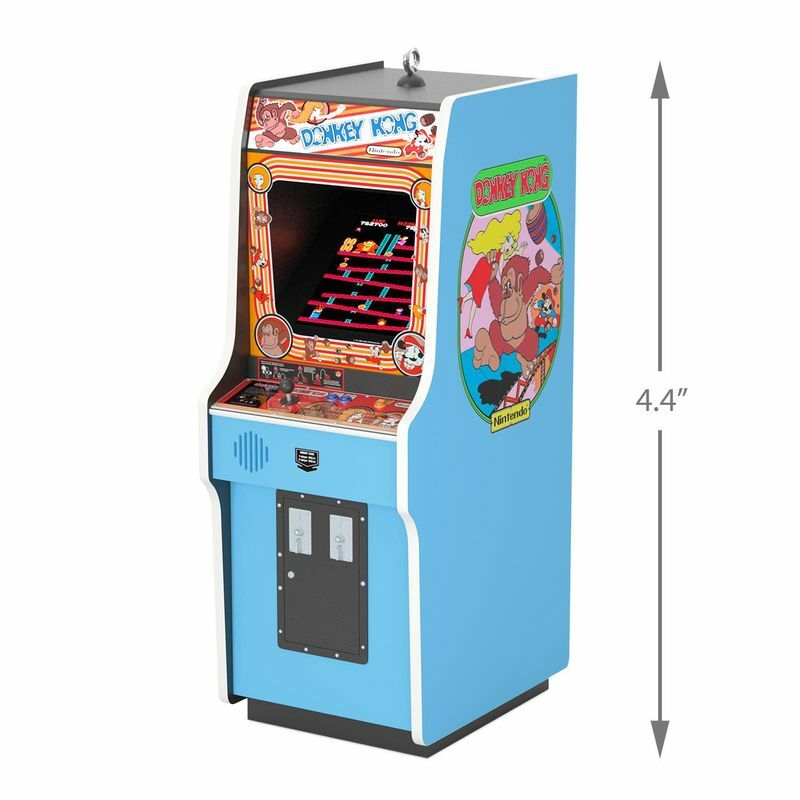 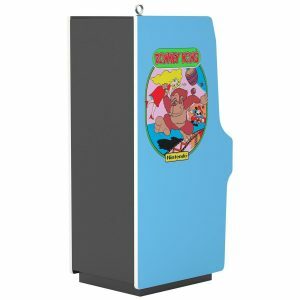 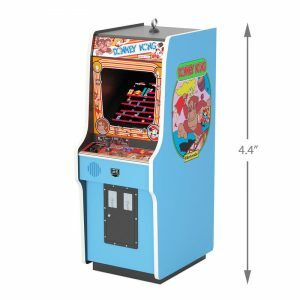 As someone who took the plunge in collecting Mario, Luigi, and Yoshi from last year’s release, I’ll admit that I can’t wait to hold a “teeny-tiny” scaled down version of the Donkey Kong arcade cabinet in my hands. 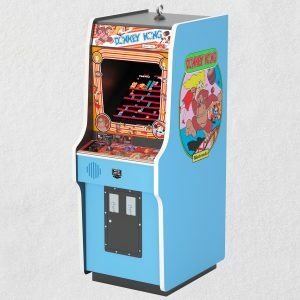 The nostalgia is strong! 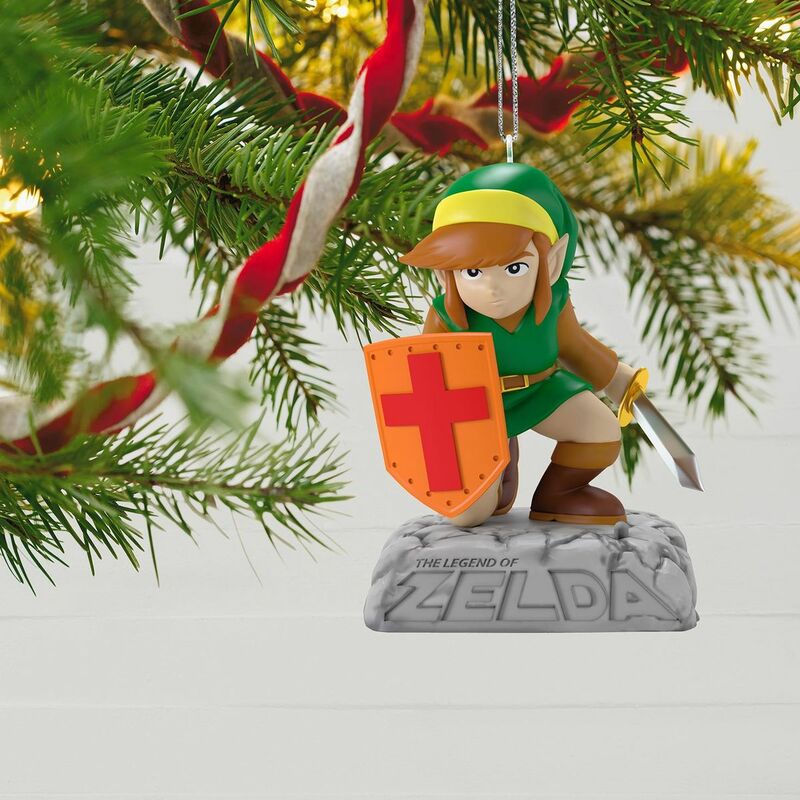 If you want to pick up any of these ornaments for yourself, be sure to visit a local Hallmark store bright and early on the release dates.